- Comedian Tommy Davidson visited The Morning AMp (and Afternoon Shift) today and took a cool photo with a pair of Rockettes. - People love talking about Diane Lane. Specifically, Diane Lane&apos;s "famously beautiful face." Additionally, in this New York Times article, Goodman artistic director Robert Falls speculates as to whether Sweet Bird of Youth will move to Broadway after its run in Chicago. - A fan of New Girl? 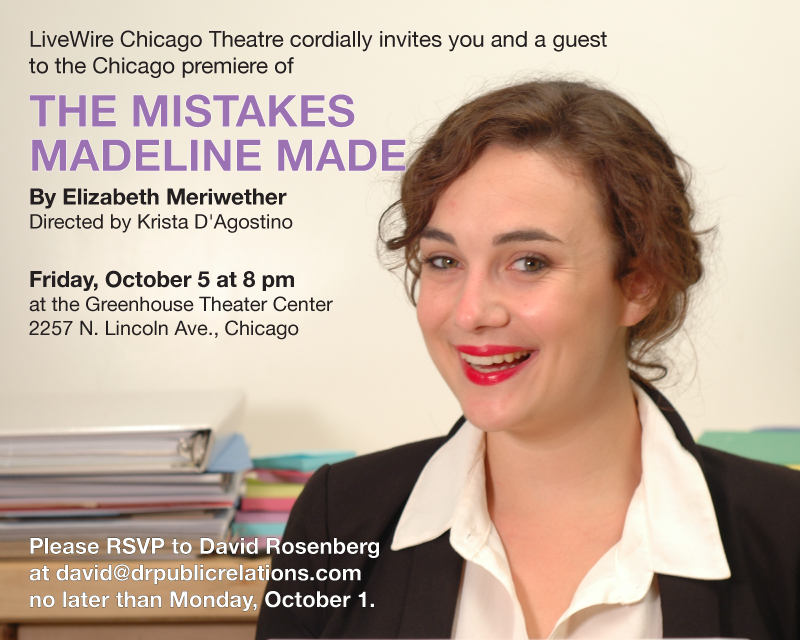 Creator Elizabeth Meriwether&apos;s play The Mistakes Madeline Made opens at Greenhouse October 3. It "tells the story of a young woman, Edna, who develops Ablutophobia, the fear of bathing. Struggling with a soul-crushing job as a personal assistant and an unexpected loss, she wages a furious and funny war against all things complacent, pampered and clean. As Edna’s smell starts to overwhelm her co-workers and many casual lovers, the play raises the questions: is dirty living a political act? And is clean living even possible in these times of unrest?" Oh. Wow.